Omaha, NE. September 26, 2017 – Omaha has experienced seven straight years of tourism growth. New economic impact research completed by Tourism Economics – An Oxford Economics Company shows tourism&apos;s impact on the city has now reached close to the $2 billion mark. The study shows 12.3 million people visited Omaha in 2016. Those tourists spent a total of $1.22 billion while visiting the city. That increase in visitor spending resulted in local businesses spending another $700 million in the community, totaling 1.9 billion in economic impact annually. "We want people to understand that these numbers actually affect each and every one of us, from jobs to taxes. 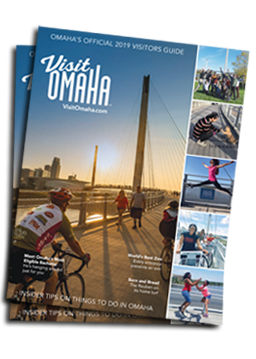 When visitors spend money in Omaha, they are supporting our way of life," said Keith Backsen, Executive Director for Visit Omaha, Omaha&apos;s Official Tourism Authority. In fact, one out of every 17 jobs in Omaha is supported by visitor spending. The money visitors spend supports 17,280 jobs for our friends, families and neighbors," added Backsen. Taxes generated by visitor spending has also grown. Tourism now saves each Douglas County household $730 per year. Without tourism, taxes would go up or the current level of government services would go down. Go to What Tourism Looks Like and hear from locals impacted by tourism. Click here for more details on Omaha&apos;s tourism numbers. Visit Omaha, also known as the Omaha Convention and Visitors Bureau, is the official tourism authority for the City of Omaha and Douglas County.